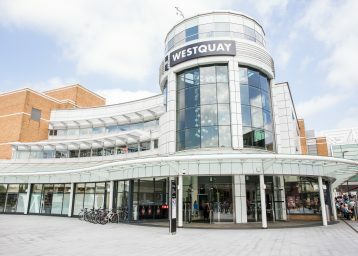 Located in the heart of Brighton and only a 10 min walk from the station, Churchill Square Shopping Centre is home to over 100 shops, restaurants and cafes all under one roof. 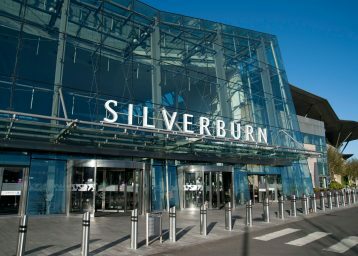 It is open 7 days a week and has all the conveniences a new shopping centre should have. 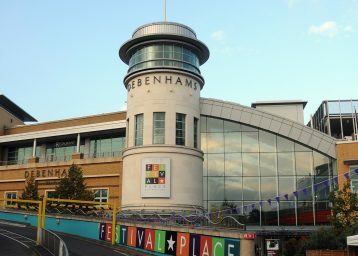 This innovative shopping centre offers the very best in high street shopping from brands like Topshop, Apple, Zara, Debenhams and much more, you can be sure to find the right shop for you. 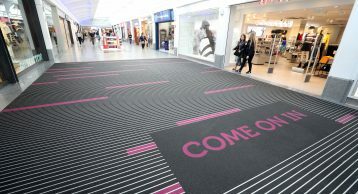 Installing the right Entrance Matting was crucial, find out why! 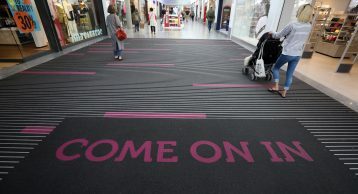 Currently the shopping centre attracts an annual footfall of 13 million. This is hugely impressive. However, it presents a challenge for the centre to whom maintaining the safety of shoppers is paramount. TThousands of shoppers become unfortunate victims of accidents in shops, shopping malls and supermarkets across the UK every year. Shopping Centres must take reasonable precautions to ensure that their premises are safe and that customers are not injured when they visit. The most common reason for slips and trips in a shopping centre is due to moisture, dropped food, spilled drinks or inclement weather conditions affecting the internal flooring. In many cases, these incidents could have been prevented. 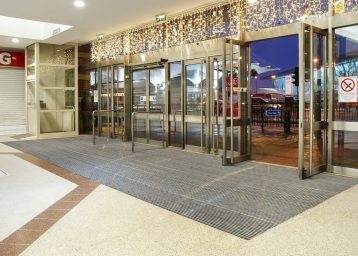 We worked with the management of Churchill Square Shopping Centre and installed heavy duty recessed Entrance Matting to tackle this issue head on! We believe in stopping the two things that cause these slips & trips at the entrance; dirt and moisture. 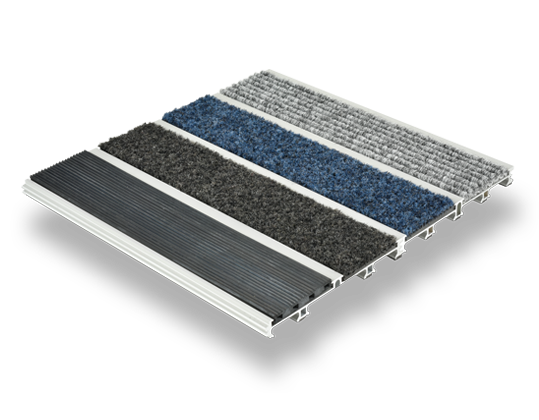 What better Matting to install to prevent these injuries than the flagship INTRAform Double Module matting solution. Combined with our most popular INTRAlux Elite Black 608 Fibre insert a great barrier is formed. The double wide insets retain maximum moisture, enhancing the reception. 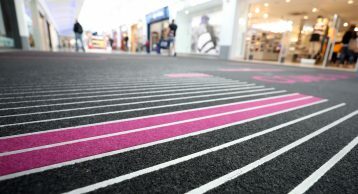 Using our matting the centre was able to prevent the ingress of dirt and moisture into the flooring beyond, therefore minimising unnecessary accidents. As the flooring beyond remains clean, the maintenance costs are also reduced. The internal environment remains aesthetically pleasing so shoppers are retained. 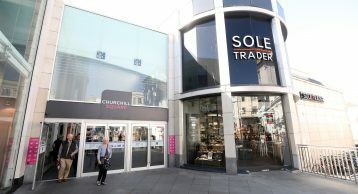 Finally, for Churchill Square we were able to help retain their branding by manufacturing a totally bespoke solution which utilised colours and logos to welcome shoppers. 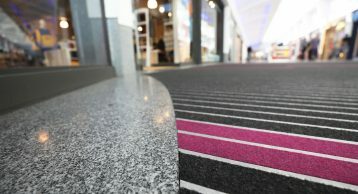 Check out the image gallery and see the great work we did at Churchill Square. Why not contact us for your next project.